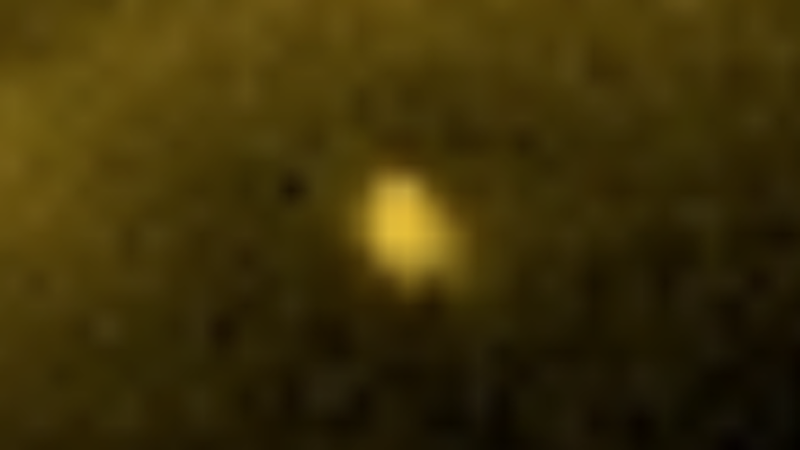 UFO SIGHTINGS DAILY: Moon Size UFO Enters Sun, Disappears in Under Surface In less than 7 minutes, Aug 29, 2016, UFO Sighting News. 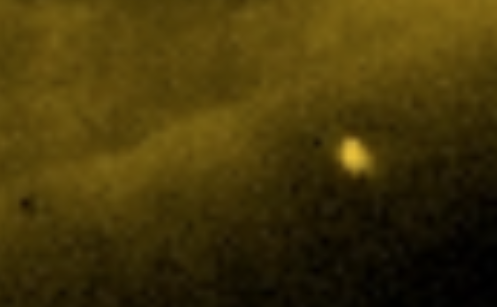 Moon Size UFO Enters Sun, Disappears in Under Surface In less than 7 minutes, Aug 29, 2016, UFO Sighting News. I found this UFO near our sun today. Its big, about as big as our moon, and its shiny...like its surface is metallic, reflecting the light off of it. The shape is unusual like a pyramid. This object should not be this close to the sun without burning up. It should be impossible, but its there in a NASA SOHO image. I saw other photos of the same location from 13:00...6 min before and from 13:13...7 minutes after this photo was taken. The UFO is gone...no moon size object could possible just disappear unless it had partial light speed capability. There is no known propulsion that could get this moon size object far enough from the sun in just 6 minutes. It may have been entering the sun, because if it was leaving from the sun, there should have been a trail following it, but there is none, therefore, I know it was entering it.